One look at my Tilapia fillet and you know it was frozen right out of the water. 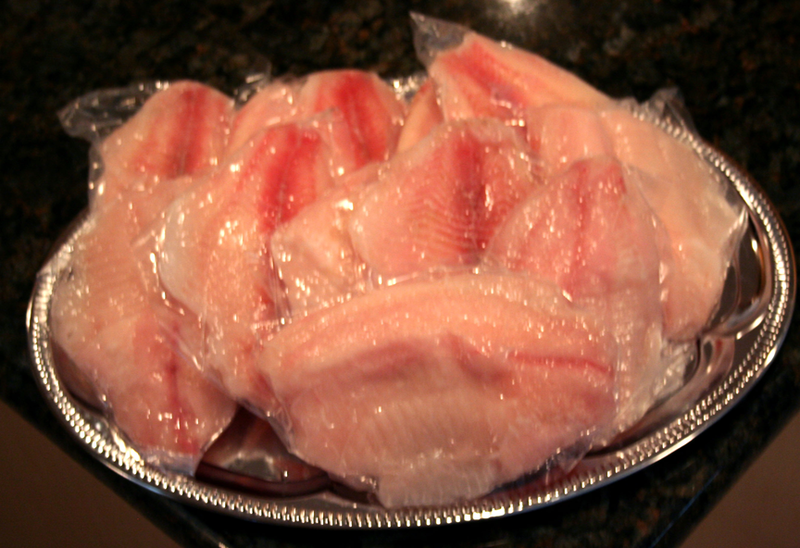 This is a very mild fish perfect for training children to develop a palate for seafood. Best pan seared, baked or broiled. Thaw overnight in the refrigerator or float in cold water for 20 minutes.